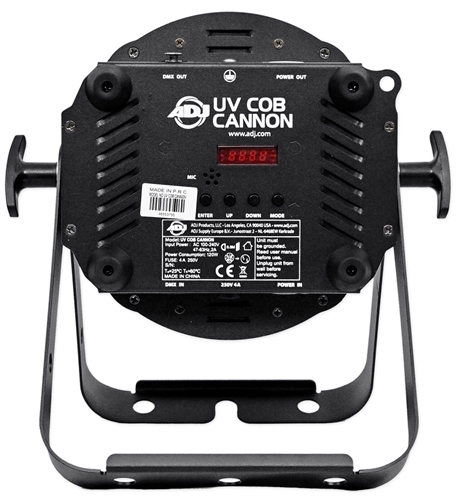 The UV COB Cannon has 3 operational modes (sound active, manual or DMX), has 3 DMX operational modes, 5 selectable dim curves, a 4-Button DMX Display and is flicker free for film and television. 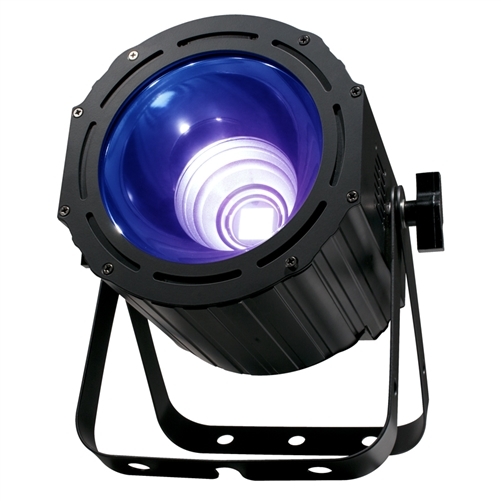 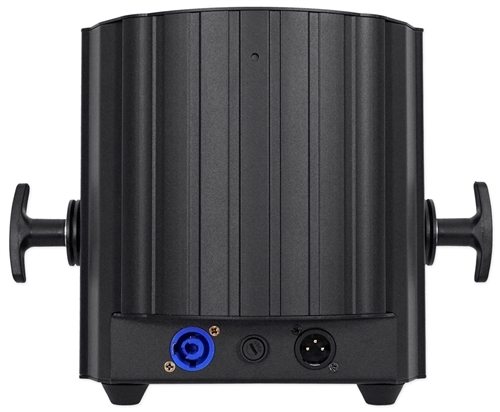 This fixture is DMX linkable via 3-pin DMX, and is power linkable via PowerCon connections. 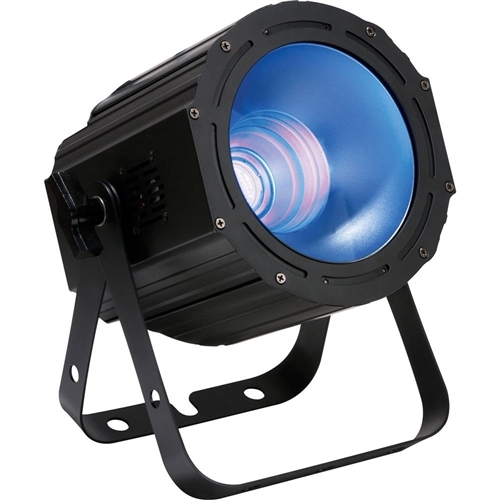 The light source is an 80-Watt COB cluster of 9x6 (54) 1.8-Watt UV LEDs. 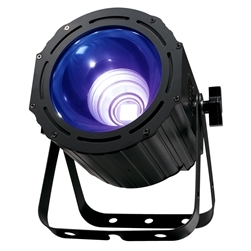 • Beam angle: 33 degrees?